The course is suitable for kids 5+ who were already in an English speaking environment, or have some basics in English, use the language and need to develop their reading, listening comprehension, writing and grammar. There is an additional hour for spoken English to improve the fluency in conversations. This course will prepare the kids for the Cambridge Learners English Tests. Library: The kids may use every week our rich library for taking books home. cozy atmosphere – a nice and cozy house with a big garden where the kids can rest and play during the breaks. We have a kitchen where the kids can have their homemade snack. Classes will be held in a nice and cozy house with a big garden where the kids can rest and play during the breaks. We have a kitchen where the kids can have their homemade snack. Grammar – giving the broader skills to be able to communicate well. Jolly Phonics and Grammar teach both stages throughly and enjoyably trough the primary/elementary years at school. In the first stage the letter sounds are taught in a fun, multisensory way. Children learn how to use the letter sounds to read and write words. In the second, grammar stage, the structure of the language is taught. This includes parts of speech, spelling, punctuation and more. Children learn how to express themselves accurately and well. 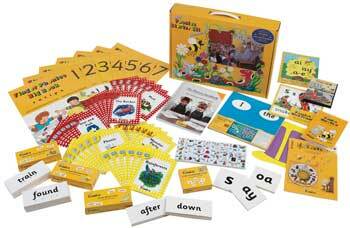 Kid’s Box fully covers the syllabus of the Cambridge Young Learners English (YLE) tests. New language is presented through amusing stories that your students will adore and practiced with fantastic songs and activities, making the learning process a delight. Key language is continuously revised and recycled, helping to build children’s confidence, and a focus on communicative activities ensures that children use the language they have learned in a fun, ‘no-pressure’ context. The suite includes three qualifications, each targeted at a different level of the Common European Framework of Reference for Languages (CEFR). Cambridge English: Starters (YLE Starters) is targeted at pre-A1 Level, Cambridge English: Movers (YLE Movers) at CEFR Level A1, and Cambridge English: Flyers (YLE Flyers) at CEFR Level A2. Cambridge English: Young Learners leads on to other Cambridge English examinations designed for school-aged learners, including Cambridge English: Key / KET for Schools at CEFR Level A2, Cambridge English: Preliminary / PET for Schools at CEFR Level B1, Cambridge English: First / FCE for at CEFR Level B2 and Cambridge English: Advanced / CAE at CEFR Level C1. Cambridge English: Flyers is roughly equivalent to Cambridge English: Key for Schools in terms of difficulty, but the words and contexts covered in Cambridge English: Flyers are suitable for younger children. 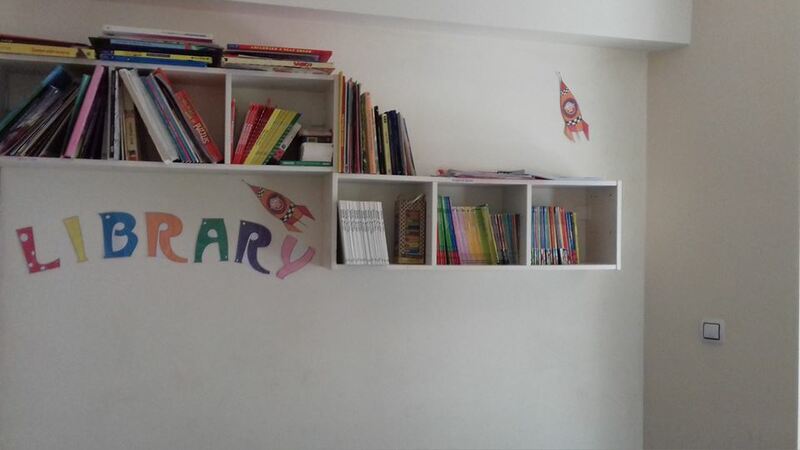 We have a library with a variety of English children`s books. Your child will receive every week a book for reading at home. We want to encourage you to participate in your child`s readings. There are lots of fun and easy ways to help get your child ready to read. Arrange a meeting by phone or email. You are welcome to visit us, to meet our Manager and the team. Entry test – writing, reading, listening and speaking comprehension. Fill in a registration form and fee payment.